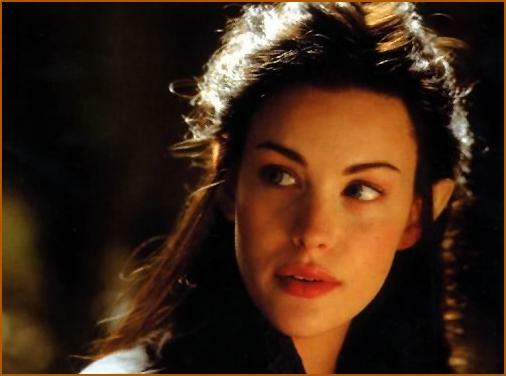 Arwen (S. “Royal maiden”) was the youngest child and only daughter of Elrond and Celebrían (daughter of Galadriel). She was known for her dark beauty and striking resemblance to Lúthien Tinúviel. Because of her beauty, she was known as Undómiel, the Evenstar of her people. She lived most of her life in her father’s house in Imladris, and occasionally in Lothlórien with her mother’s kin. In 2951, she met and fell in love with Aragorn. Twenty nine years later, they met again, and in 2980 pledged their love on Cerin Amroth. They were married following the downfall of Barad-dûr; in marrying Aragorn, Arwen gave up her immortality, being the only other Elf aside from Lúthien to do so. She bore him one son and two daughters; when he died in FO 120, she went to Lórien and died the following winter on the same spot upon which she had pledged her love to Aragorn. So how old was Aragorn when he died? Also is Galadriel Elrond's superior in Elvish rankings since his spouse was her daughter?